Biggest Hiring Companies That Are Now Hiring In Canada. There are many occupations in Canada that are showing great progress and growth since last few years. Due to this reason a lot of people prefer to go live in Canada and work in a reputable company there in order to maintain a good lifestyle. Salaries are rising and many new companies are signing qualified people with great employment momentum and are giving them fat paychecks according to their abilities are competences. The top ten biggest hiring companies that are also currently hiring fresh employees in Canada are as followed! Bayer has added more than three hundred employees last year and still looking for young and competent people to work for their progress and betterment. They are known to provide better balance to their employees in terms of work and personal lives through flexibility in the working environment. CN Railway Company links the entire Canada from coast to coast and therefore has a very distinct place in Canadian background. They functions extraordinary employees and are creating more jobs for around three hundred people for new recruiting positions in Canada. New jobs at home are available from CIBC which is very encouraging for employees to become owners of a reputable bank by the help of a mere share purchase plan. One of the most reputable names in commercial construction across Canada is EllisDon Corporation that is adding over hundred and ten positions this year for resuming of various completed and ongoing projects. With an addition of two hundred and forty vacancies, Enbridge has become one of the leading companies of Canada in 2016. They support an ongoing learning and development schemes for managing an in-house university sue to which employees are encouraged to do more with every passing day. Fifteen hundred new positions are available at Ford companies of Canada with various other benefits given to the employees like discounted company products, heath plan premiums and long term financial benefits. 7. Nature’s path foods, Inc.
Canada leading food chain, Nature’s path has new 18 positions available to be employed with a focus towards healthy products and unlimited supply to the retailers. Opentext corporation. It is one of the most leading software development firms of Canada and is currently employing new individuals because of existing 130 positions in its various branches. 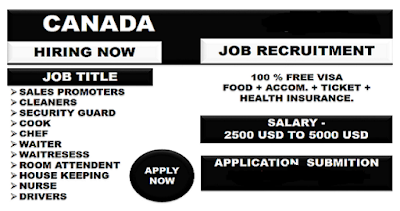 Samsung is an international brand and is currently hiring people in its Canada branches. With good salaries, health plan premium, eye coverage and dental coverage are given to both the employees and their families. Moreover, employees are also given considerable compensations and bonuses according to their work quality. An average employee of Siemens Canada earns up to hundred thousand dollars but they must show good expertise and working aptitudes to share the ongoing success of the company and their profit sharing purchasing plans as well as referral bonuses.